Good morning everyone! 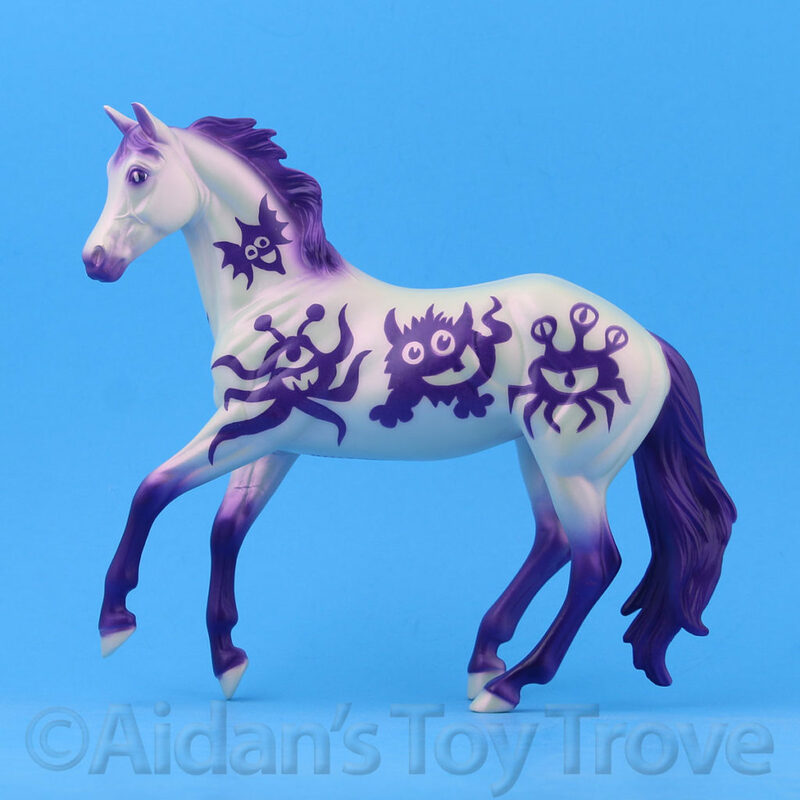 Things have been busy busy busy here at Aidan’s Toy Trove. Our eBay Store is closed for business until Monday, March 27th but we may bring it out of vacation mode over weekend. We won’t be returning home until late Sunday evening or quite likely the wee hours of the morning on Monday, March 27th. Our website store will remain open but nothing will ship from here until, at the very earliest, Monday and quite possibly Tuesday, March 28th. For those that didn’t see, our last juicy news tidbit is that I am officially a Copperfox Ambassador. I am honored to have been offered this role. 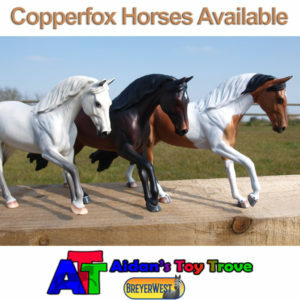 I am positively thrilled to announce that we will have a nice selection of Copperfox horses available for sale at our BreyerWest Sales booth. 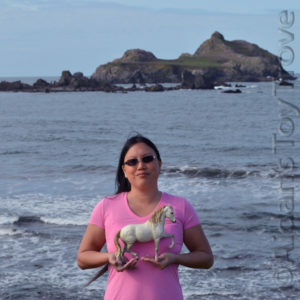 In my new role as a Copperox Ambassador, I will be attending model horse shows with Copperfox horses in Washington, Oregon and California! 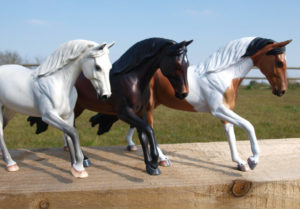 These horses (and ponies!) will be available to purchase in person. We will be planning our shows and posting a list of events that we will be attending at a later date. Becky Benfield of Copperfox is an absolute goddess. 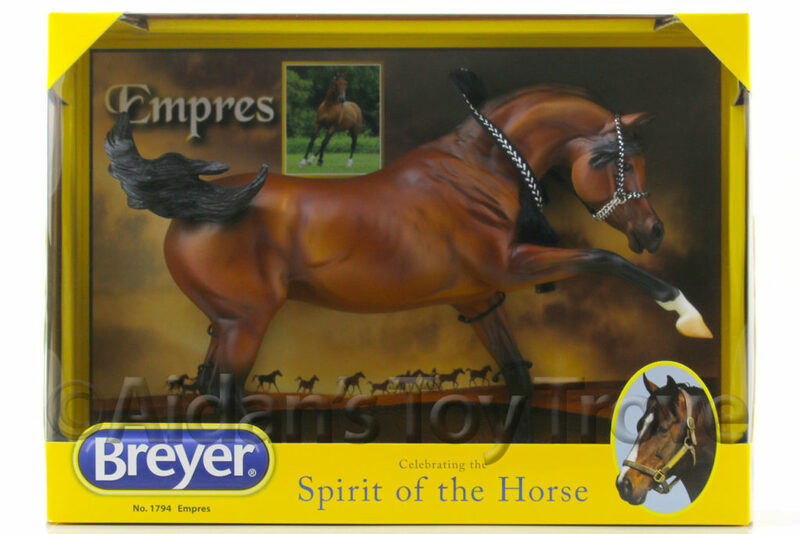 We have been in contact for only 2 weeks and Becky managed to get us Copperfox horses shipped to our hotel in time for the BreyerWest event. This absolutely blows my mind. 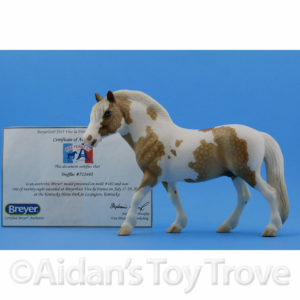 Keep in mind, the Copperfox horses shipped from the United Kingdom and BreyerWest is being held in the US. Just WOW! 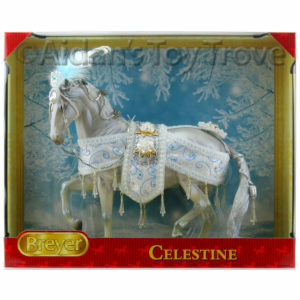 In fact, the horses are sitting at the hotel right now waiting for us to come and collect them. It’s almost torture to know the horses are there and not being able to see them in person right NOW. 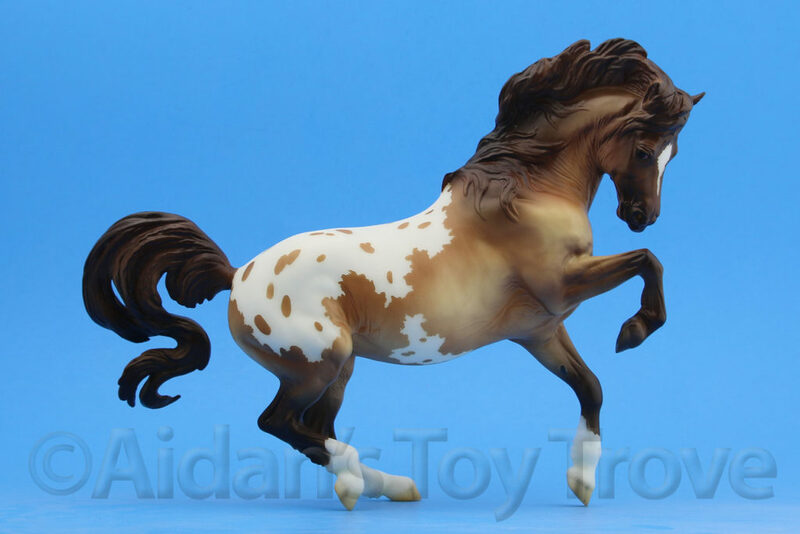 With the Copperfox horses being a brand new addition for us, I haven’t had the time to promote them as I would like to do. 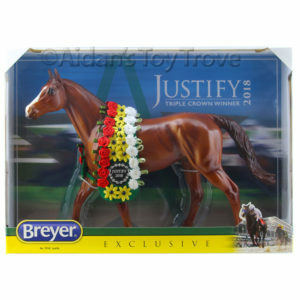 I will provide more information about them after the conclusion of BreyerWest. 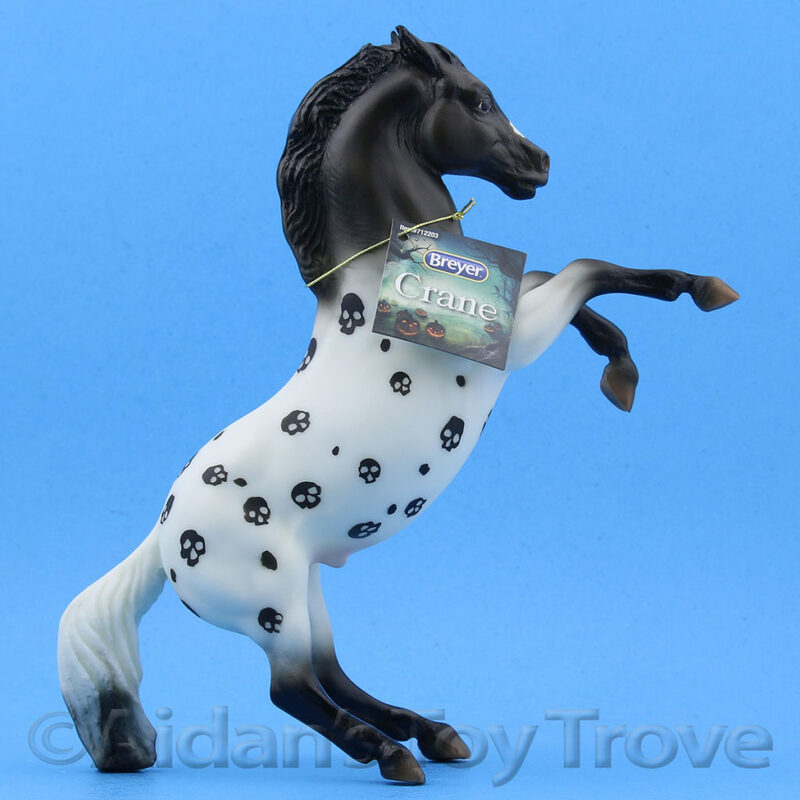 We spent a lot of time working on the layout of our BreyerWest booth over the past weekend. Unfortunately, the weather here has been all rain and today is calling for thunderstorms. 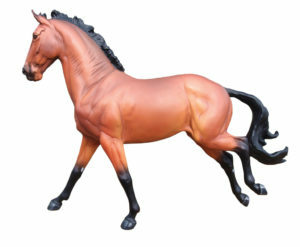 We wanted to at least run a mock setup of our BreyerWest booth but the only space we have available to do that is in the driveway and we can’t do that in the rain L We also need to be mindful of loading merchandise into the trailer during the rain and pick the least wet times that we can! Speaking of, we have a brand new cargo trailer. Here it is on our first day of loading and we anticipate that the trailer will be FULL by the time we finish loading it. 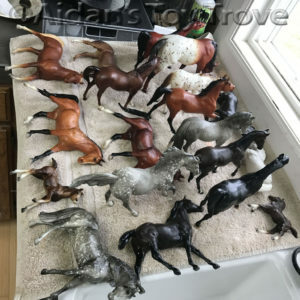 Yesterday, I washed, priced and packed horses from dawn until dusk. These were mostly loose horses. 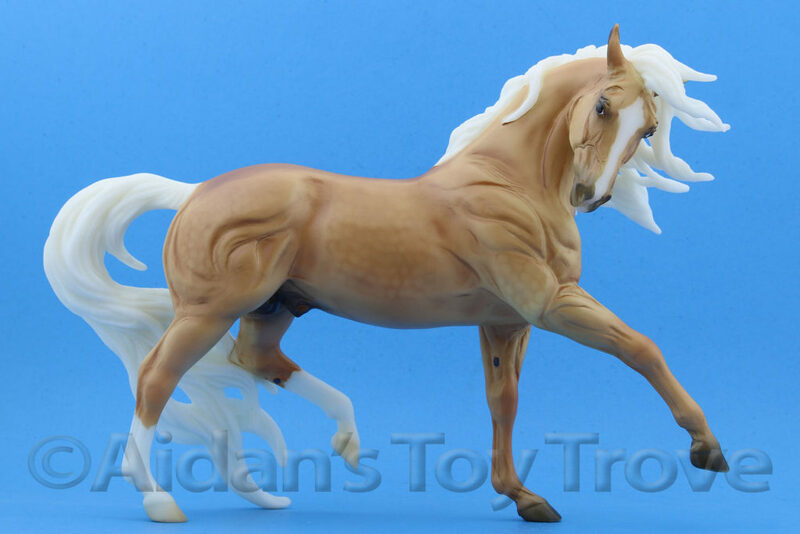 Today’s focus will be on retired NIB horses. We have a LOT of those that we hope find new homes because they take up a lot of room (in OUR home, LOL.) 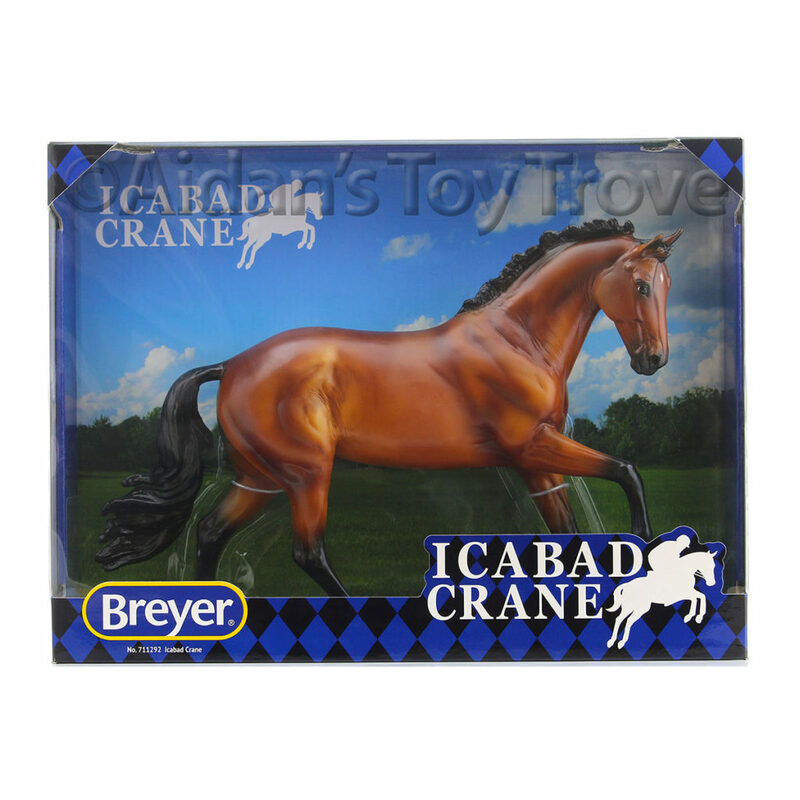 We already loaded up our Breyer 2017 Lineup. 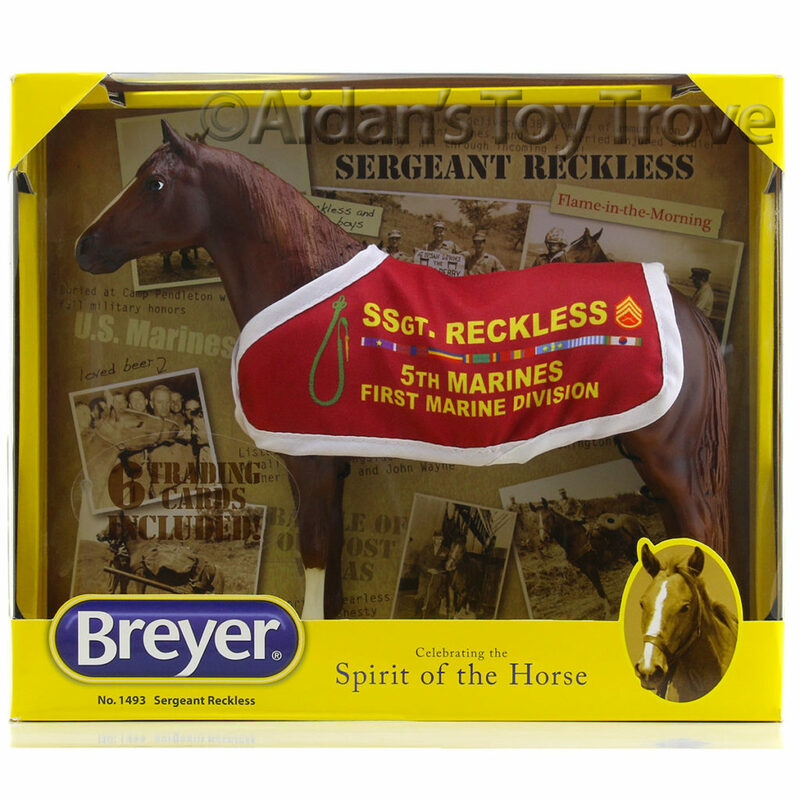 You won’t see much at all from us about online sales until after BreyerWest. 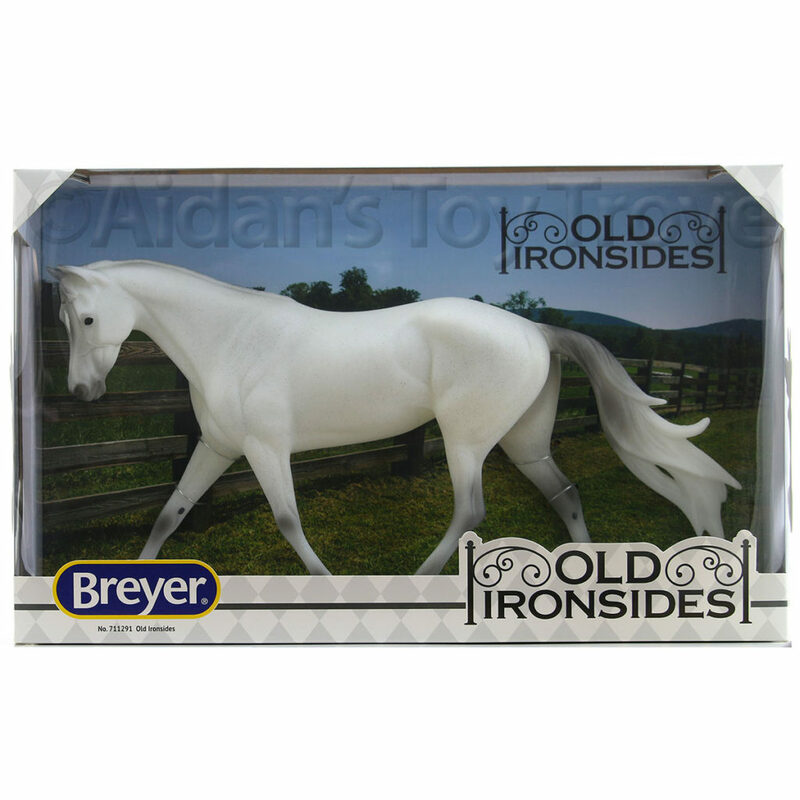 We will be making blog posts to the website and posting pictures to our Instagram account throughout BreyerWest. 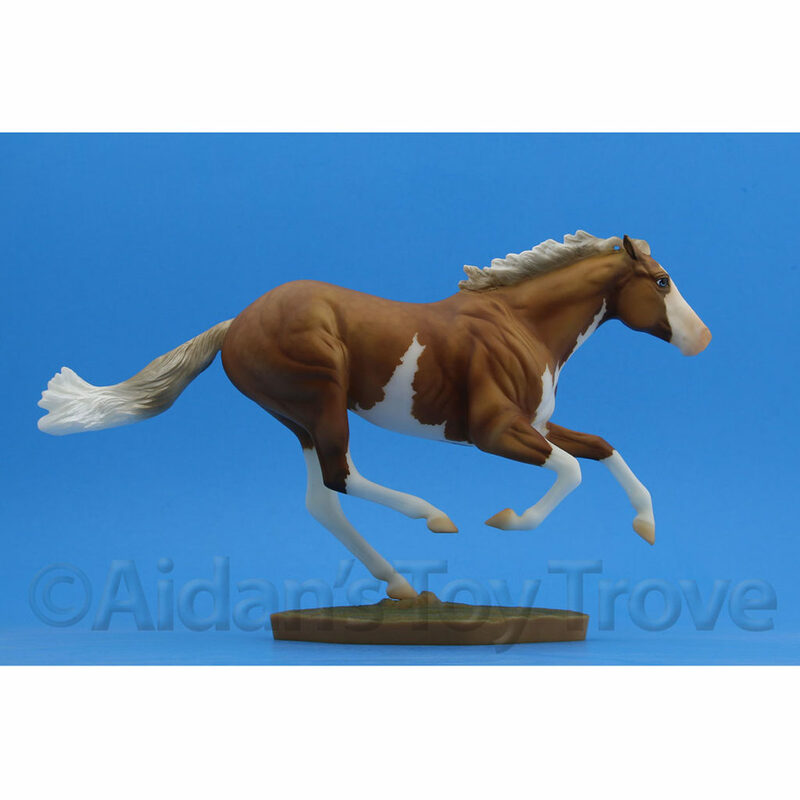 Our goal is to post a whole bunch of model horse eye candy. 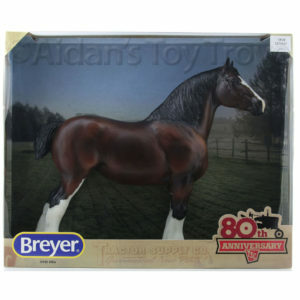 Last year, Breyer had some of the BreyerFest Special Runs on hand. 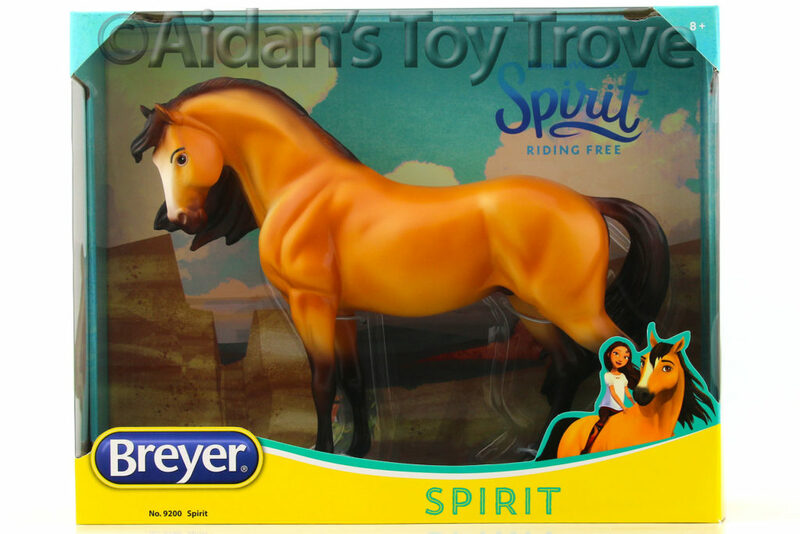 If Breyer brings some again this year, I promise your BreyerFest Special Run pictures galore =D That’s it for now, I need to do some more pony packing!